A few months ago, I blogged some images of my hometown of Saint John, New Brunswick in its best summer colours. While home for a Christmas visit, I toured the city again, this time with my uncle and in frigid cold weather! 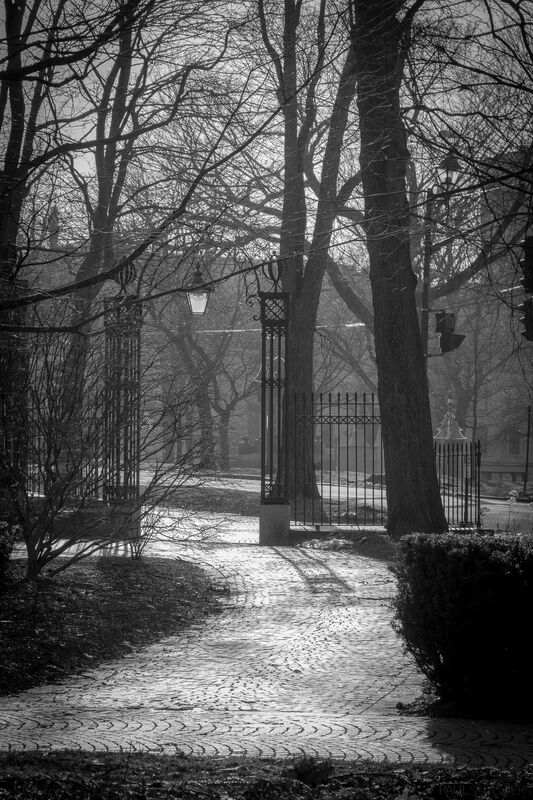 The city has changed a lot over the years, but much beauty is still around for the determined photographer. Again, the Loyalist Burial Ground catches my eye. 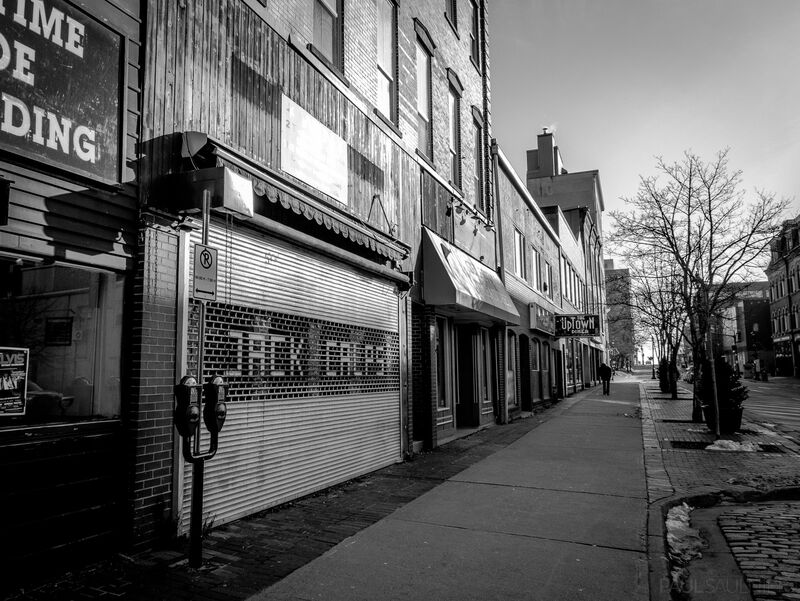 Charlotte Street was once a bustling retail centre with the Jack Calps store as a popular destination spanning multiple buildings, most no longer standing. The area is struggling again, for now. 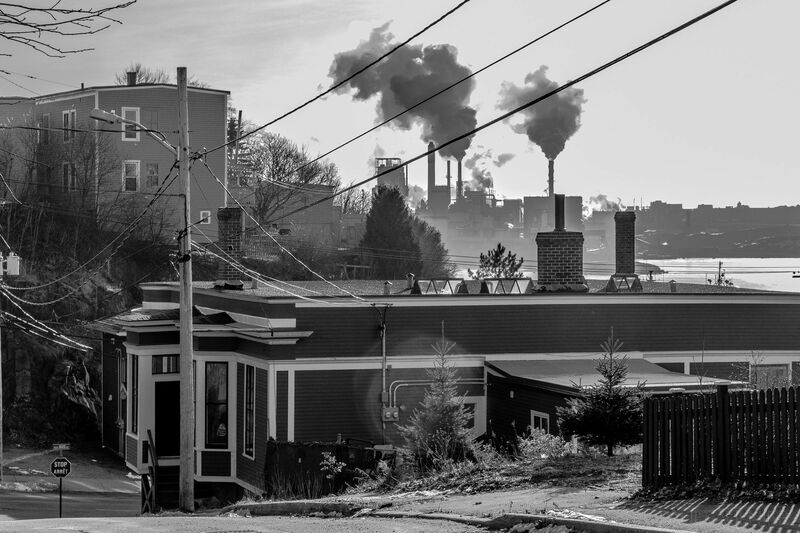 My uncle describes this shot as quintessential Saint John with old houses in the foreground and smoke stacks in the back. 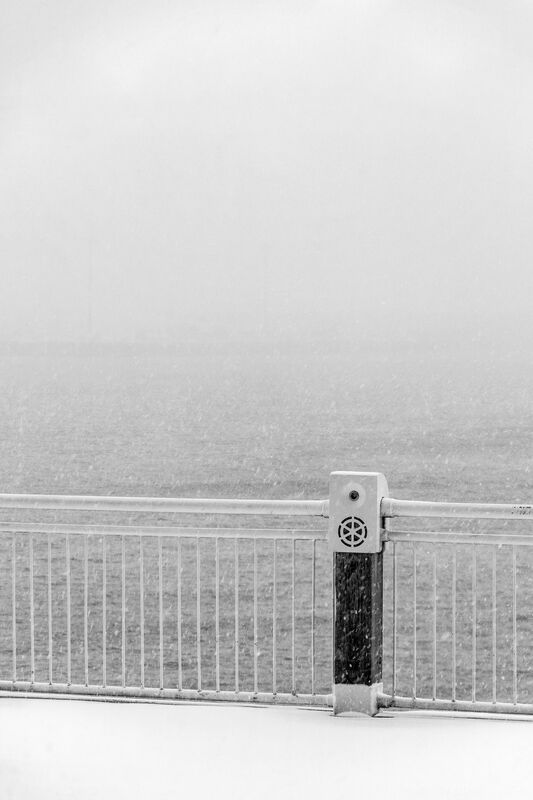 Snow falls on the boardwalk which overlooks the ocean. Uptown Saint John is a vibrant place with festivals in the summer, and activities throughout the year. 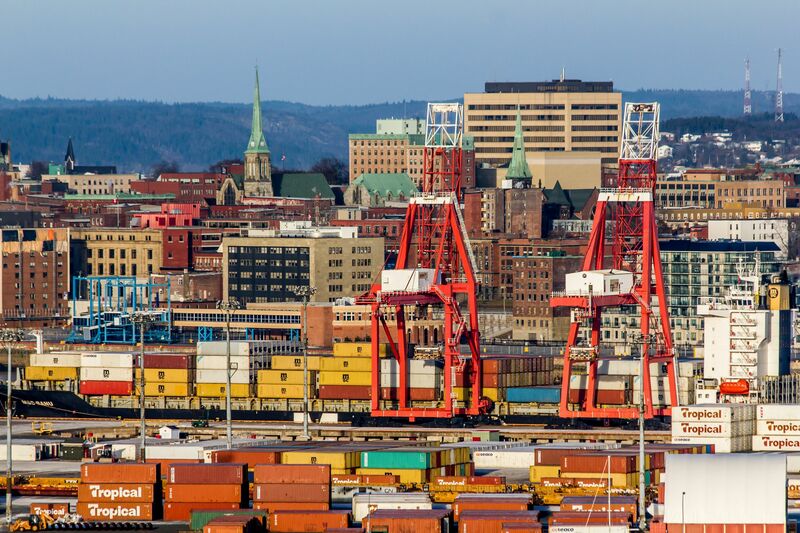 Colourful shipping containers representing the city’s industrial sector actually add to this vibrancy.